Now, what was they doing? 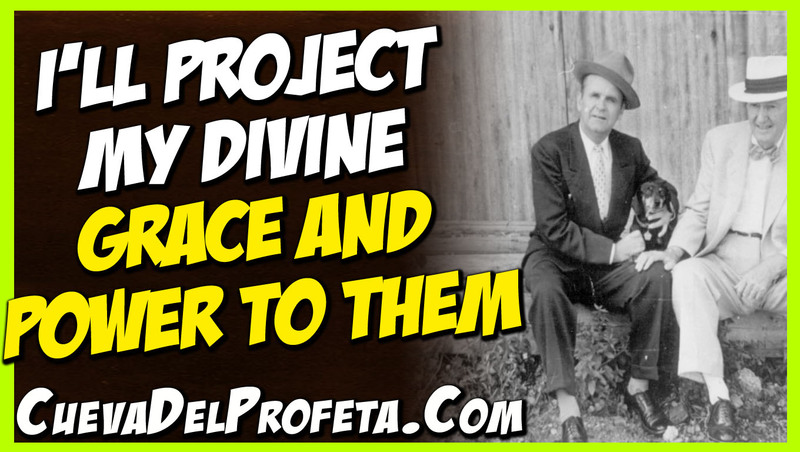 Projecting love, Divine love of God. And sovereign grace will have to act in its place. You see it? What happened? God said to Moses, "Tell them to stand still. They... [Blank.spot.on.tape--Ed.]...?... and I'll show you what My grace is. Just stand still now. Don't be excited. Every footstep of a righteous man is ordered of the Lord." No matter what comes or goes, God orders it. Maybe through trials and it maybe through troubles and tribulations, but as long as God's leading, what difference does it make? Said, "Now, tell them to stand still. They love Me, and they are projecting to Me by proving that they believe Me to step out on My Word, and they believe it. And now they're at the end of the road. Love has taken them as far as it can, so now I will project to them. They projected love to Me. 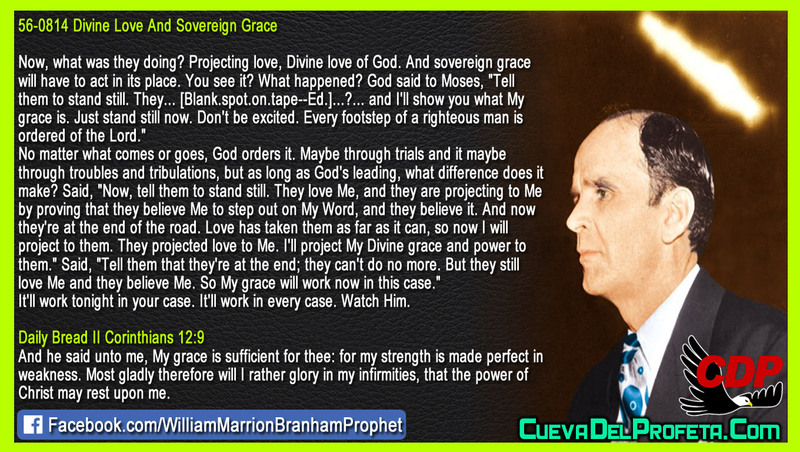 I'll project My Divine grace and power to them." Said, "Tell them that they're at the end; they can't do no more. But they still love Me and they believe Me. So My grace will work now in this case." It'll work tonight in your case. It'll work in every case. Watch Him.